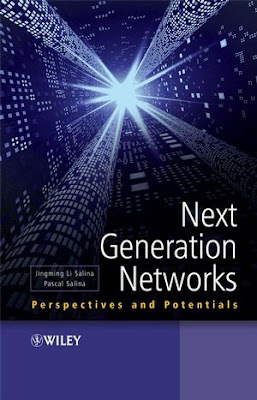 Jingming Li Salina, Pascal Salina, "Next Generation Networks: Perspectives and Potentials"
Next Generation Networks: Perspectives and Potentials explores the potentials of NGN and provides an outlook of future services for the end users and opportunities for the traditional network operators and new players. It creates a framework to aid the understanding of NGN, exploring the strategic development and practical deployment of NGN. This book provides a complete and comprehensive picture of the future directions, substantial benefits, issues, applications and services for NGN.